Being pregnant and having nowhere to live? Delivering six, seven, eight babies and having no one to care for you or your little ones? Trying to live life with a curable medical condition, however no one knows you are sick? Living on the streets by yourself for months, scared to approach anyone? 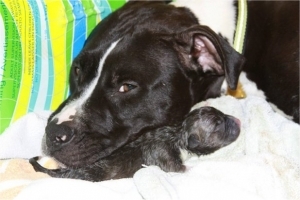 These are all situations where a foster and their love can truly save a life! Can you imagine yourself being a lifesaver? Then we want YOU as a foster! Foster families are an integral part of our organization. They are a temporary living situation for cats and dogs that require a little extra tender loving care. Are you are an animal lover but cannot at this time adopt a pet for a lifetime? Are you an animal lover who would like to try a new companion for your existing pet without a permanent commitment? Are you an animal lover who has some extra time and attention to give to animals too young to be adopted? 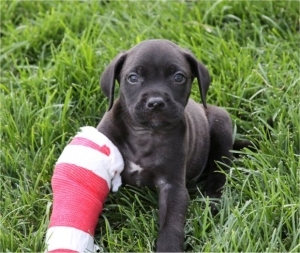 Are you an animal lover who loves a challenge of helping an animal recover from an illness, injury, or emotional scar? If you are, our foster program may be just for you! Help Save Pets takes in many animals that most shelters will not. To keep our pregnant moms safe and healthy, they generally deliver in our clinics and then are moved to a foster home to be surrounded with love. 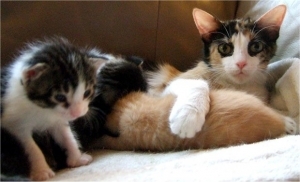 Nursing mothers and their litters as well as infant kittens and puppies thrive in foster homes. Animals recovering from illnesses or treatments recuperate faster in the arms and lives of foster families. For those special animals that are stressed from being caught as a stray or having been abandoned at a shelter, a patient and caring foster family can truly be the difference between life and death. * Food, litter, crates, etc. will be furnished to you by Help Save Pets if needed. The length of the foster time will depend on the reason for the fostering. Pregnant moms will stay in a foster home after the birth through the nursing stage. Young kittens and puppies will stay in a foster home until they are old enough and weigh enough to return to the shelter and be spayed or neutered. Animals recovering from an illness or injury will stay in a foster home until they are fully recovered and available for adoption. Depending on the situation, they may require additional time in the foster home. Special needs animals will remain in a foster home until they are able to be adopted. If you fall in love with your foster and want to give them a forever home that is wonderful! Please consider remaining a foster with us so we can continue to help more unfortunate animals find their forever home. What will I need to foster? If needed, Help Save Pets will provide you with all the necessary supplies you will need to care for your foster animal, such as food, litter and a crate. 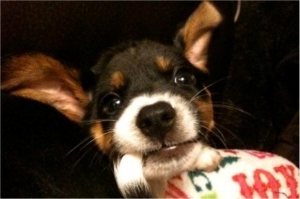 Additionally, Help Save Pets covers all medical expenses while the animal is in your care. The most important item that you will need to provide is love – lots of love to help your foster gain confidence so it can find a forever home! Do you enjoy cuddling a puppy or a kitten? 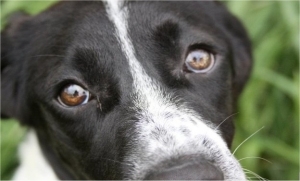 Do you want to help a scared or timid dog enjoy a walk outside? Do you have the need and courage to make a difference in an animal’s life? Please complete our foster application and mail it to the address listed on the form or drop it off at one of partner clinics. Click here to read Stories from Help Save Pets Temporary Care Providers.